Today I went to the nearby travel agency with a pile of cash and paid for my plane ticket. It is still strange for me to make large purchases with cash. I am always surprised by the lack of businesses who accept credit cards for payment. 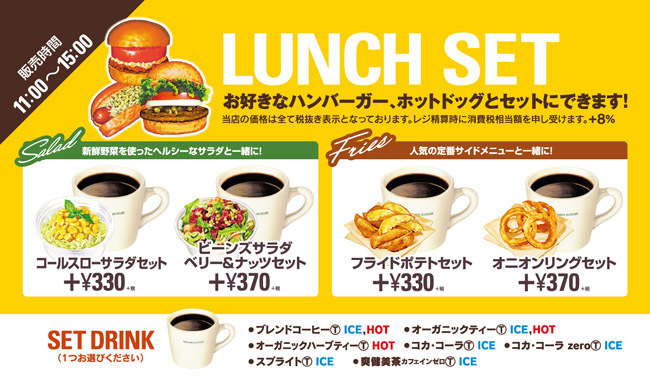 After the travel agent I tried out a Japanese burger chain called “Freshness Burger“. As you would expect from the name, the ingredients are very fresh. Unfortunately like other Japanese burger restaurants, the burgers are simply too small. I hung out at home for the rest of the afternoon, and The Penpal came over to visit when she was done work. We spent a few hours together, and then I walked her home from my apartment. It takes about 20-25 minutes to walk from Ooka City Plaza to The Penpal’s house. We walked by a printing company, a school, a rice paddy, and several small businesses along a narrow road. At the house, her parents offered me the use of The Penpal’s old bicycle. The bike is a few years old and is no longer in use, but they cleaned it up for me and bought a basket and a light. Since Numazu does not have the population density to support a subway system like the Greater Tokyo area, having a bicycle will give me a lot of freedom to get around. I am very excited! Before I left, The Penpal and I reviewed the directions on how to get back to my apartment. Her mother made sure to tell me to watch out for cars, pedestrians, narrow sidewalks, trains, and not to get lost. She also asked that I send a message to The Penpal to let her know that I got home safely. It sounded like exactly the same kinds of things my own mother would say. This entry was posted on November 15, 2014, 8:00 pm and is filed under Shizuoka, The Penpal. You can follow any responses to this entry through RSS 2.0. You can leave a response, or trackback from your own site.